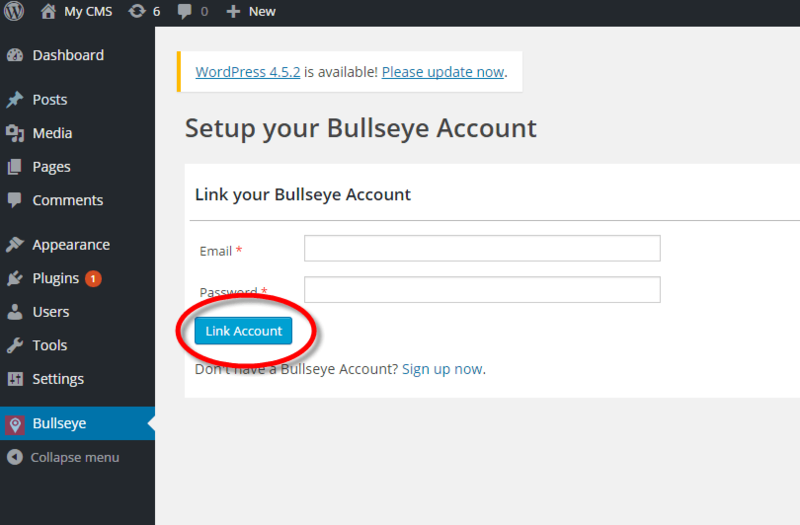 Install the Bullseye app on your Wordpress site. Sign up for a Bullseye account. Enter your locations in the Bullseye admin. Add the Bullseye interface to a page on your site. When you select Bullseye, you'll be taken to a screen that asks you to enter login information to link your Bullseye account. 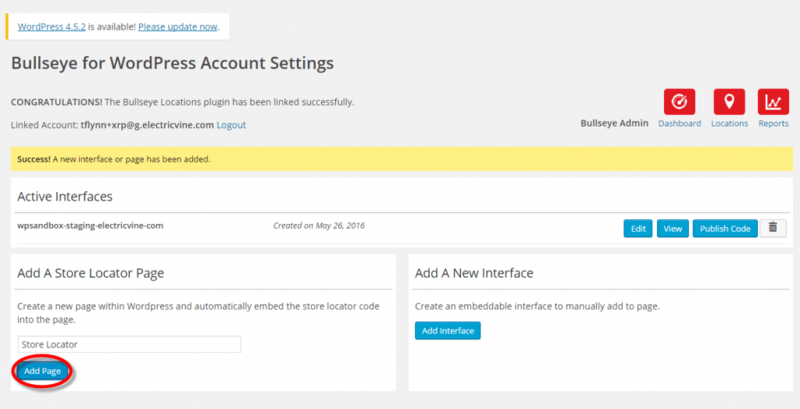 You need to create a Bullseye account to obtain the login credentials. To create an account, sign up for a free trial. During the set up, you will be sent an activation email that will ask you to verify your information. Check your spam filter if you do not see the activation email. Note that, you may want to skip adding all locations if you don't have your locations organized yet. If so, you can continue adding the app to your site, but keep in mind that the locator won't be fully functional until you have all locations entered. 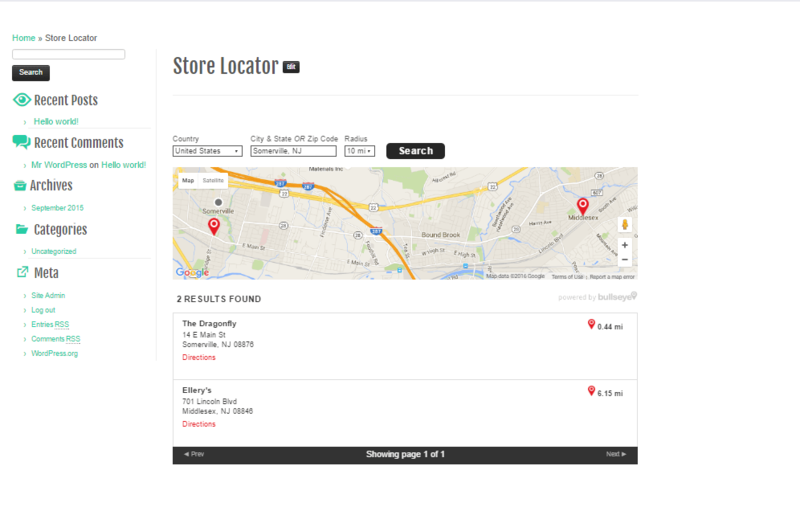 You will need to have at least one location entered in order for the interface to display. 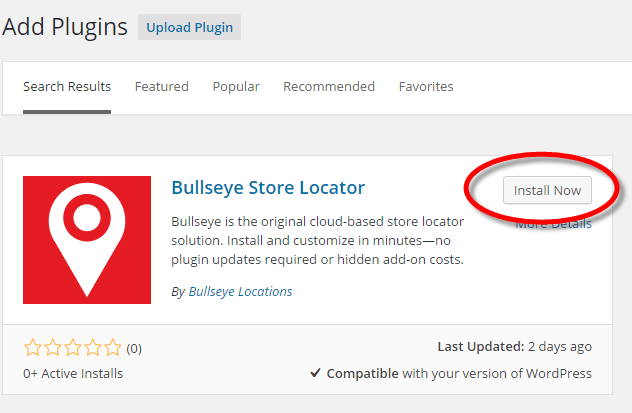 When you add your locations to Bullseye, they will instantly appear in your search, and you won't need to reinstall Bullseye on your site. Contact us anytime during the process if you need help. To link the account, enter the email and password you used to set up your Bullseye account when you signed up for the trial account, and select Link Account. You should receive a message that says Congratulations! The Bullseye Plugin has been linked correctly. You'll get a message that says Success! A new interface has been added. Congratulations! You've got Bullseye on your Wordpress Web site! Alternatively, you can use the Add A New Interface option, if you'd like to take the Bullseye interface and insert it into an existing page. Just select Add Interface. A piece of code will appear which you can paste on one of your pages. If you need to adjust the styles on the locator to match your site, go to Interfaces in the left navigation in your Bullseye account, then edit on the appropriate interface. Under the basic tab, you can use the palette or enter hex colors to change colors. We also have some font options to choose from. Under the advanced tab, you can enter CSS code to overwrite our default styles.